Zenspace offers mindfulness and meditation training and courses. It is run by Dr Barbara Gabrys, an authorised Zen meditation teacher and registered mindfulness teacher. The Zenspace website was built using WordPress to allow for easy content management, and includes a custom responsive theme that performs well across all monitor sizes and devices. 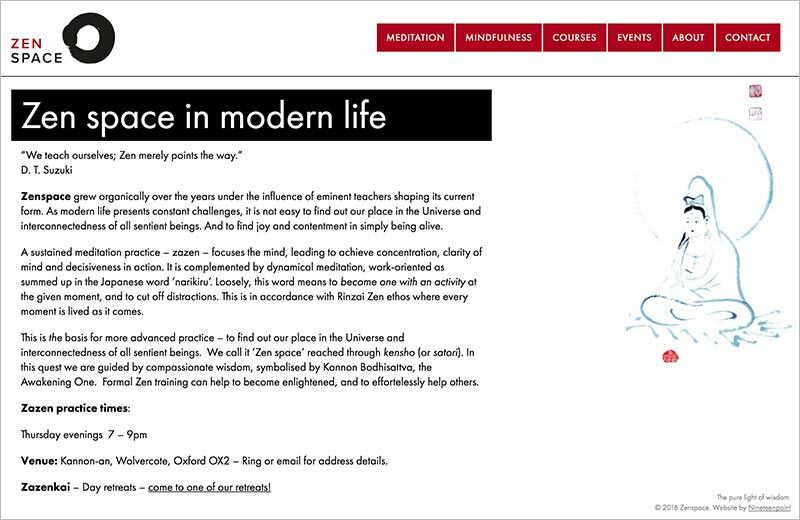 As the website is largely text-centred, full-screen images that tie in with the Zenspace approach were used to create balance and harmony. WordPress and SEO training was also provided as part of my work, in order to allow for ongoing client updates and search marketing.